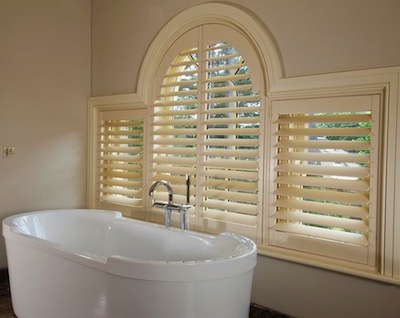 Stunning interior plantation window shutters Buckinghamshire, brought to you by your local experts. Offering value, quality and a lifetime guarantee. Shutters can take any window or door and create a feature of elegance and style. Just Shutters is the premier specialist plantation shutter company and can provide the widest range of styles, materials and finishes to ensure that your shutters are as unique as you are and complement your home perfectly. We are delighted to design and install the finest plantation shutters across Buckinghamshire including Windsor and Maidenhead. Our dedicated Shutter Expert will discuss with you any preferences in look, style or functionality and then design the bespoke shutters you dream of! These could be cosy and traditional, or bright and modern – even colourful and bold! We have just the solution for you, and having worked on listed properties, brand new developments and every style of home in between, you can be assured that we have the necessary skills and a careful consideration of your property. Plantation shutters are not just beautiful, they are also extremely practical. Their light and shade control is second to none in the window coverings market; they can open fully and fold back to hardly visible, providing views unencumbered by curtain fabric. However, most people choose to keep their shutters closed and use the louvres to control the incoming light, whether bright light, almost blackout or something in between. Shutters can be used in humid environments with no risk of moulding or mildewing like fabrics. They do not hold the dust or allergens as curtains can, and they have no dangerous pull cords so are safe for children and people prone to trips or falls. Shutters reduce heat loss in your home and also minimise noise pollution. Wipe clean and easy to maintain, shutters have a myriad of benefits aside from their looks. Shutters are often viewed as a luxury purchase and it is easy to see why: they grace the rooms of some of the finest homes and hotels, and enhance the pages of style magazines, however shutters cost around the same as high-end curtains or blinds, yet come with added value. 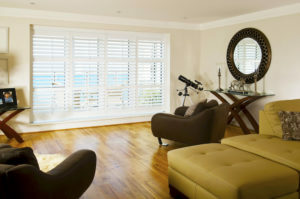 Shutters from Just Shutters are lifetime guaranteed, giving you peace of mind for years to come. They also remain in your home when it is time to move and add value to the sale price. Shutters also help energy efficiency in the home. Just Shutters are the shutter experts: shutters are not a sideline, nor an add-on. Shutters areour passion and our unsurpassed reputation proves we are anything but ‘just’ another shutter company. We care about our shutters and about our customers. Please call 01494 917 055 or follow the links below. Testimonials taken from independent website checkatrade.com. You may also like to see Just Shutters Marlow.